Note: Taking Our Own Side will first be released in a signed, numbered hardcover edition of 100 copies. Note: The limited edition of Taking Our Own Side is now sold out. The paperback edition is available here. A regular hardcover edition is available here. Michael J. Polignano was born in 1980 in Frederick Maryland. He graduated from Emory University in 2002. He is a writer, publisher, activist, and Information Technology consultant based in San Francisco. This is his first book. 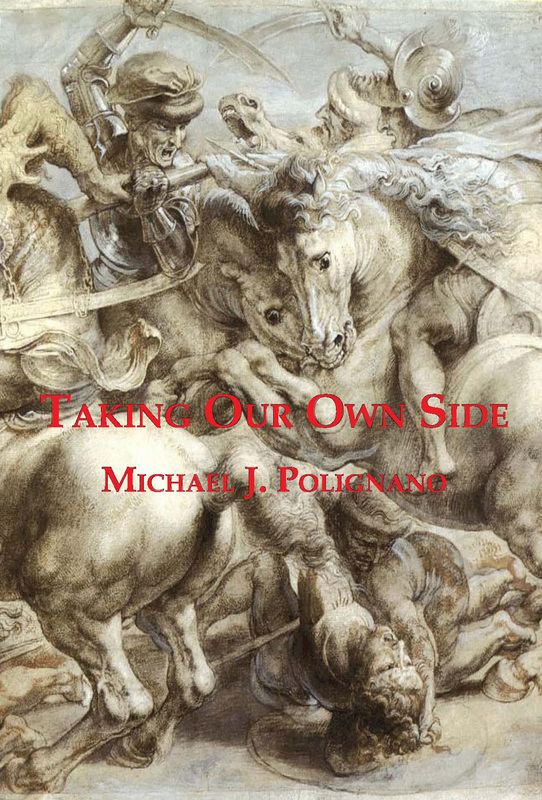 Published: June 22, 2010 | This entry was posted in news item and tagged cultural criticism, higher education, Michael Polignano, philosophy, Polignano book, political correctness, political philosophy, politics, Taking Our Own Side, white nationalism. Both comments and trackbacks are currently closed. This sounds like an interesting book. Some of the topics sound rather intriguing too. I would really like to support this website by buying the books you publish but unfortunately I am generally uninterested in content affirming and reaffirming White interests. I am fully grounded in my racial beliefs (which in some instances divulge from even intellectual mainstream White Nationalists) and do not need to be convinced or hear anymore arguments on the subject. Neither can I stomach anything but the occasional article on Jews since I have read more than a lifetime of books and articles on them (not to mention personal experience) and again my beliefs in this area are almost concrete; I need no convincing. Now of course these are just my personal preferences and you could probably care less. I only offer this to let you know what this reader IS interested in. I have loved the articles on Evola, Yockey, the poetry, and on Patrick Pearse. I am very interested in philosophical, spiritual, esoteric, historical, mythical and cultural analysis…as well as eugenics. One of the reasons why I love Counter-Currents is because it does touch on many of the topics listed above (just reading your about section had me, actually). I am by no means suggesting you limit yourself to only topics I have mentioned above or that the author of this book is not good (or even great). I am merely letting you know that the reasons I will keep coming back to this site and why I would choose this over many other mere White Nationalist sites that bore me and cause anger and hatred of American (and liberal) White Nationalism with their grossly over-simplified, capitalist-materialist, liberal, lemming nonsense. Sorry for my rant. You guys are doing great. I will keep coming back and I am sure I will end up buying some of your books.